Repo rate or otherwise known as repurchase auction rate, is introduced by RBI to increase the flow of money in the market, i.e. when there os lack of liquidity in the economy and the interest rate is rising, the country’s central bank will buy Government securities and the amount if paid to the bank, which improves overall credit. On the other hand, Reverse repo rate is a fixed cut-off rate, at which the government securities are sold by the central bank at the auction. It assists bank in parking their surplus funds when there is substantial liquidity in the economy. These two rates are mainly used to maintain the supply of money in the economy, i.e. to increase or decrease liquidity. So, check out the article presented to you, so as to understand the difference between repo rate and reverse repo rate. Meaning Repo rate is the rate at which the Central bank of India grants loan to the commercial banks for a short period against government securities. Reverse repo rate is the rate at which the commercial banks grant loan to the Central Bank of India. Purpose To fulfill the deficiency of funds. To ensure liquidity in the economy. Controls Inflation Money supply in the economy. Repurchase Option or a Repo rate is the rate at which the Reserve Bank of India (RBI) grants the loan to the commercial banks against government securities. It is charged on Repurchase Agreement i.e. an agreement between two parties in which one party sells its securities to another promising that the securities would be bought back over a specified period. For controlling the inflation, RBI uses this tool whereby the rate is increased to reduce the commercial bank’s borrowings, which in return pulls down the inflation. 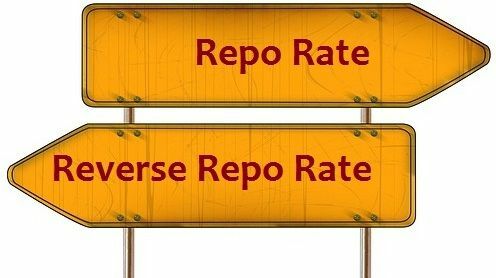 Reverse repo rate is exactly opposite to a Repo rate; it is an interest rate at which the commercial bank grants the loan to the Central Bank of India i.e. RBI. The Reverse repo rate is always lower than a repo rate. This is a monetary tool used by RBI to control the money supply in the country, i.e. with the increase in the rate, the flow of money in the economy decreases as the banks will now invest its money with RBI due to safety and lucrative interest rates. The significant difference between the Repo Rate and Reverse Repo Rate is that Repo Rate is the interest rate at which the commercial banks borrow loans from RBI, while Reverse Repo Rate is the rate at which the RBI borrows loan from the commercial banks. The Repo Rate is always higher than the Reverse Repo Rate. The Repo rate is a monetary tool used by the central bank for controlling the Inflation whereas a central bank uses reverse Repo Rate for controlling the supply of money in the economy. The aim of Repo rate is to fulfil the deficiency of funds. On the other hand, the objective of Reverse Repo Rate is to ensure the liquidity in the economy. Repo Rate is charged on Repurchase Agreement, whereas the Reverse Repo Rate is charged on Reverse Repurchase Agreement. Both are prescribed by the Reserve Bank of India. Both are bank policy rates. Both affects the liquidity of the economy. After a brief discussion on these two terms, we came to the conclusion that the two entities are opposite from each other. The significant difference between the Repo Rate and Reverse Repo Rate is that, with an increase in the Repo rate the borrowings of the commercial banks from RBI becomes dearer and as the result, fewer funds are borrowed. Whereas, with an increase in the Reverse Repo Rate the RBI borrows money from commercial banks at a much higher rate, with the intention to regulate the supply of money in the economy.